Children's institutions did not just take the form of permanent residential homes. Some homes were established to send children to convalesce after an illness. The children may have been from children's homes, they may have come straight out of hospital. Generally, in the case of the latter, parents would have had to pay a fee for their children to stay there. Convalescent homes were generally situated by the sea as the Victorians put great store by the health benefits of fresh sea air. 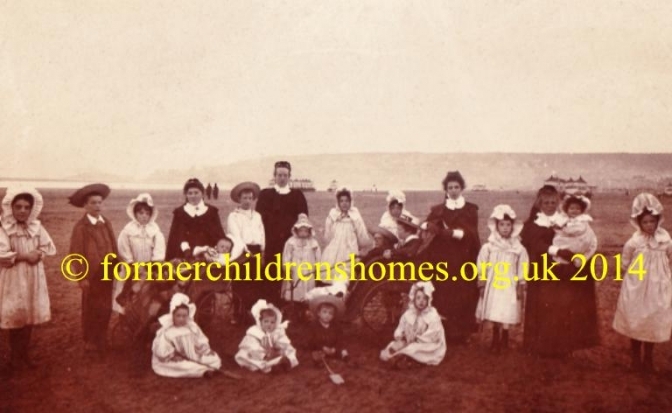 Some poor law unions, and later councils, had homes to be used specifically for holidays for children. These were generally also by the sea - for entertainment rather than health reasons. Birmingham City Council, for example, bought a house in Towyn in North Wales for holidays for the children in its children's homes. The home purchse was paid for with a bequest from an individual in 1935. It was called Martineau House. In the 1950s, the home moved to Bognor Regis and use was restricted to childen with disabilities. The home was sold in the late 1980s [source].